Happy Birthday to U…CITS: Turning 30! Happy Birthday to UCITS - Turning 30! It will be 30 years this year since Ireland first introduced the Undertakings for Collective Investment in Transferable Securities (“UCITS”) regime  . An Irish UCITS is collective investment schemes established and authorised within Ireland by the Central Bank of Ireland ("Central Bank"), pursuant to the Irish UCITS Regulations . The introduction of the UCITS regime at a European level in 1985 was driven by the need for a highly regulated pooled investment fund product capable of being sold on a cross-border basis within the EU, without the requirement for further authorisation or gold plating. Since its introduction into Ireland in 1989, the UCITS regime has developed into an internationally recognised, highly regulated brand and offers managers a highly liquid and diversified product, with a high level of investor protection and capable of being freely marketed. Ireland has a transparent and well settled regulatory environment, a clear and certain taxation environment and an efficient regulatory authorisation process, which makes Ireland an attractive place for managers to domicile their UCITS products. Furthermore, Irish service providers have the necessary expertise and experience to deal with all types of UCITS products. EU and non-EU asset managers, including many UK based asset managers impacted by Brexit, have looked favourably upon Ireland as an international hub from which to develop their EU business. 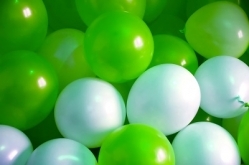 Although established as a retail product, Irish UCITS funds have developed broader appeal to institutions and pension funds and are now heavily marketed to a mixture of retail, professional and institutional clients, through the harmonised EU passporting process and also private placement mechanisms outside of the EU. Irish UCITS are capable of being marketed into EU and non-EU markets and are an important product for asset managers seeking to access European capital. Investors and foreign regulators are familiar with the UCITS product and the Irish regulatory environment. 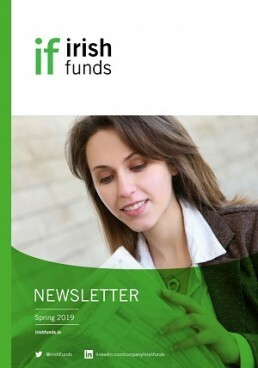 Ireland has become an international leader for cross-border distribution of investment funds. As the leading jurisdiction for two of the main types of UCITS - Exchange Traded Funds and Money Market Funds, the UCITS product has been a success story for the Irish fund's industry. At the end of January 2018, there were 4,535 Irish domiciled UCITS funds (including sub-funds) authorised by the Central Bank, which accounted for assets of €1.8 trillion, under management . c) finally, the alignment of fund depositories' duties and responsibilities and fund managers' remuneration requirements with those of the Alternative Investment Fund Managers Directive (known as UCITS V). Key changes to be expected once UCITS turns 30! As to the future of UCITS in Ireland…over the next 24 months, we can expect to see a number of changes at European and national level. In a recent speech to industry , Michael Hodson, Director of Asset Management and Investment Banking at the Central Bank of Ireland, indicated that the Central Bank shall shortly publish amendments to the Central Bank UCITS Regulations , representing a consolidation of all the regulations issued to date and taking into account regulatory and technical updates which the Central Bank consulted upon last year. The European Commission' s proposed regulation and directive  on facilitating cross-border distribution of investment funds is a welcome development. The proposals aim to ensure that the cross-border distribution of UCITS will become quicker and more cost effective, whilst ensure transparency of regulatory fees and charges (as well as calculation methodologies) and national marketing requirements. Additional requirements relating to depositary safekeeping duties (i.e. asset segregation, delegation contracts and delegation to third country custodians) shall apply from April 2020, following on from ESMA’s Opinion on Asset Segregation . In addition to regulatory legislative enhancements, managers of UCITS products should continue to monitor and keep abreast of thematic reviews to be carried out by the Central Bank of Ireland during the course of 2019. Turning 30 isn't always as bad as it first seems! Irish UCITS products are increasingly being used by managers for more complex and sophisticated strategies. In addition, forthcoming enhancements to the existing UCITS cross border distribution framework permitting quicker and cheaper access to capital will be welcomed by managers and distributors and it should be expected that total net sales of Irish UCITS will continue to increase proportionately over coming years. Whilst the rate of change to the UCITS regime over recent years has picked up pace, the enhancements have generally been welcomed by industry stakeholders, be they changes at a European or national level. Ireland has always been among the first to implement enhancements to the UCITS regime into national law. We should expect and welcome that the trend continues so that the success story of the Irish UCITS product continues for another 30 years. The European Communities (Undertakings for Collective Investment in Transferable Securities) Regulations, 1989 come into operation on 1 June, 1989. The European Communities (Undertakings for Collective Investment in Transferable Securities) Regulations 2011, as amended. Source: Central Bank of Ireland, March 2019. Source: "Asset Management after Brexit: Responding to the New Reality - Michael Hodson, Director of Asset Management and Investment Banking"; speech delivered to the British Irish Chamber of Commerce: Financial Services Seminar on 24 January 2019, available at https://www.centralbank.ie/news/article/asset-management-after-brexit-michael-hodson. The Central Bank (Supervision and Enforcement) Act 2013 (Section 48(1)) (Undertakings for Collective Investment in Transferable Securities) Regulations 2015. Proposal for a Directive of the European Parliament and of the Council amending Directive 2009/65/EC of the European Parliament and of the Council and Directive 2011/61/EU of the European Parliament and of the Council with regard to cross-border distribution of collective investment funds (2018/0041 (COD)). ESMA Opinion on Asset Segregation and Custody Services (ESMA34-45-277). 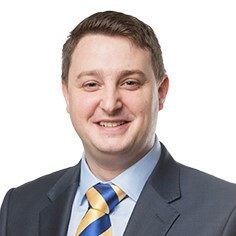 Aongus McCarthy is an associate in the asset management and investment funds group of Pinsent Masons (Ireland). Aongus advises primarily in the area of investment funds and has advised on a wide range of legal and regulatory matters.